Art Perk Glass Water Pipes are about 10 to 11 inch tall. This is double Percolator pipe. The base is alomost 5 inches. Pros: Looks great,hits smooth and clean,thought it was taller but its size makes it even better in my opinion. 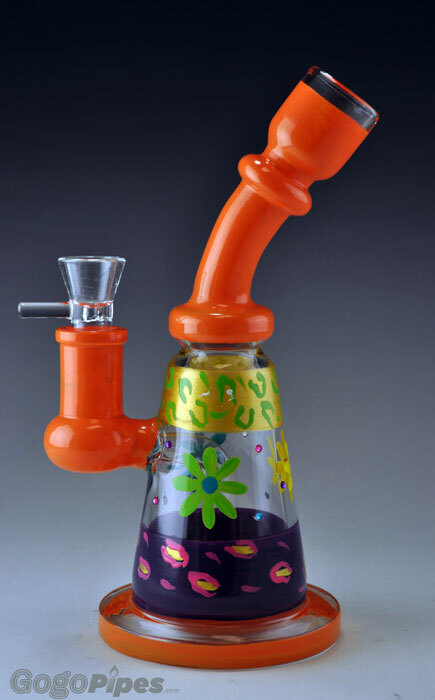 Cons: The glass on glass feature for the down-stem and bowl makes it a little tricky to slide it to clear it.An also the glass is to thin it could not withstand hardly any force to break which goes for the entire thing bowl and all.